Hansot On The Net - Alaa Internet par Hansot! The west side of Hansot the most populated Muslim area of our village is now jeweled with it first mosque. 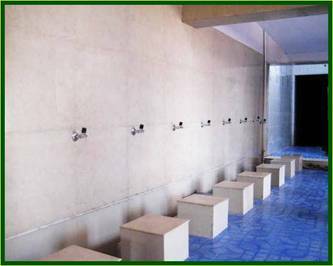 Named Masjid e Fatima, this community mosque is located in the centre of Sekhwada and promises to provide convenient access to congregation prayers for all Muslim brothers. 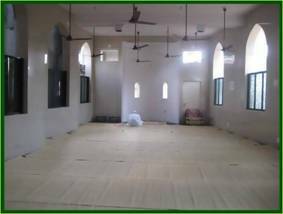 The foundation of the mosque was laid by the eminent Hazrat Maulana Ahmed Patel the Amir of England for Tabligh e Jamat. 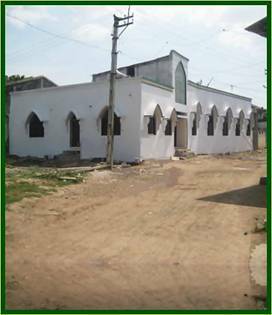 Opened for the community on the 19th of August 2009, the inaugural Asr prayer of the mosque was lead by the distinguished Mufti Hazrat Abdulla the dean of Darrul-ullum, Hansot and was joined by prominent members of the community for Asr prayers. Even though three mosques are situated between the Jame Masjid and the bus station, the majority of Muslim population lives on the west side of the village where Masjid e Fatima is located. For Muslim brothers seeking opportunities to invest in sadka e jariya, Masjid e Fatima offers them a chance to contribute in the new expansion project of the mosque. May Allah accept our prayers and grants us with his blessings always. For more details please contact Fatima Education & Social Trust, Hansot, Gujarat, India. May Allah accept our prayers and grants us with his blessings always.